Clint Eastwood casts a long shadow. He’s been in the entertainment industry since 1955, and he has 72 acting credits and 40 directorial credits. At age 88, he keeps at it, releasing a film or two every few years. He’s made some very good films, like Mystic River and The Outlaw Josey Wales. He’s also made some very bad films, like The Rookie and Jersey Boys. ** As a film icon, people have an opinion about him. Let me reiterate that Eastwood is 88 years old. I’ve been thinking about his age and his legacy. Film defined him, and film helped to conceal his all too human flaws. 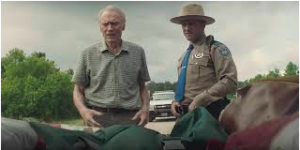 His newest film, The Mule, stars him and was directed by him, and I have this feeling that it could be the last time we see him in a new movie. If that really is so, it’s a fitting period at the end of his extensive cinematic sentence. It’s 2005 and we’re introduced to Earl Stone (Clint Eastwood), the kind of guy people used to call a smoothie. 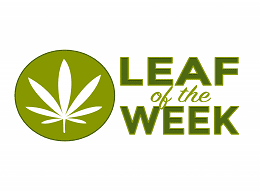 Earl is a horticulturist, and he specializes in flowers that live brief lives and feature vivid colors. His daughter Iris (Alison Eastwood) is getting married, and Earl should be there. But his life has been spent focusing on work. He’d rather drink with his buddies at a hotel bar. Twelve years pass and the internet has decimated Earl’s business. His home and flower farm has been foreclosed upon, Iris won’t speak to him, and his ex-wife Mary (Dianne Wiest) can’t blame her. But his granddaughter Ginny (Taissa Farmiga) believes in him, and she’s invited him to a bridal brunch. The bad news is that Earl’s arrival at the brunch creates instant drama. What seems to be good news is the appearance of a stranger. He offers Earl a job, and all Earl has to do is drive. If you’re thinking, “Wow, that sounds sketchy as hell, no way would I do that!” then you’re a few steps ahead of our buddy Earl. He drives his piece of crap pickup truck to a tire store. “Cargo” is placed in the truck bed, and he’s instructed to transport it to the parking lot of a nondescript motel. He’s also instructed not to look in the cargo bag for any reason, and to answer a burner phone they give him. In case you haven’t guessed, Earl is now a drug runner for the Sinaloa cartel. Laton (Andy Garcia) is the boss, and he likes that Earl is a reliable driver who’s never gotten stopped by the cops. Plus, who’s going to suspect that a garrulous codger is transporting cocaine? DEA agents Bates (Bradley Cooper) and Trevino (Michael Peña) don’t suspect him yet, but it’s only a matter of time. Instead, Eastwood has made exactly the kind of movie he wants, and it’s a confirmed character piece. It travels at a relaxed pace through America’s highways. So much so that Clint treats the cartel almost as an afterthought, and he seems more interested in hanging out with Earl and watching him bounce off of a wide variety of people. We have moments of beautiful vistas, such as Earl tooling through White Sands National Monument. Even scenes of glowering cartel members holding Eastwood at gunpoint have minimal tension, and the film seems to want to move on to other scenes where Earl asks after the nephew of one cartel guy and charms the heck out of the drug lord Laton. The Mule is based on the real exploits of drug courier Leo Sharp, and screenwriter Nick Schenk has drawn from a number of true incidents. *** The running thread of the script is Earl’s neglect of his family. There’s even a scene where Earl and Agent Bates share a cup of coffee, and Earl lectures the younger man about forgetting his wedding anniversary. Is it trite? Yes. Is it effective? Also yes. Schenk’s script is solid, but it occasionally veers a little too close to the mawkish with Earl trying to atone for decades of neglect by throwing money at people. That’s fine, but that focus causes the script to portray Earl as a little bit of a mystery. Why does it take him several runs before he decides to check out what his cargo is? How does he feel about the fact that he’s a drug runner? As far as the script is concerned, it’s not that big a deal. Eastwood doesn’t have the world’s biggest range as an actor, but the parts he can play, he plays well. As Earl, he’s a personable dude with a playful twinkle in his eye. Even his frequent racist jibes come off as less mean-spirited and more indulgently retrograde. Eastwood portrays him as an almost complete narcissist, a guy who just adores driving, pulled pork sandwiches, and threesomes. He’s such a charmer that we’re encouraged to give him a pass until nearly the end of the film. The bad news is, the film’s relentless focus on Earl means that the rest of the cast is almost completely sidelined. Both Bradley Cooper and Michael Peña have their considerable charisma nearly tamped down, as they’re playing competent agents with no character arc. I liked Dianne Wiest as Mary, Earl’s fiery ex-wife, and it’s nice to see Laurence Fishburne as Bradley Cooper’s boss. At the end of the day, however, this is The Clint Eastwood Show, and every other actor takes a backseat to him. 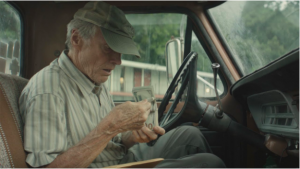 The Mule is Eastwood’s best film since 2006’s Letters from Iwo Jima. It’s not quite what I thought it would be, but I liked it nonetheless. Like many of his other movies, this film focuses on regret and loss. It also feels like it could be an effective coda to Eastwood’s career, showing us that even in a man’s twilight years, there’s still time for change, still time to love life. *So it’s like at least 75 percent of his other performances. 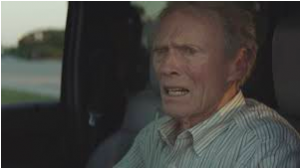 **Clint has also made some highly divisive films, like American Sniper and its infamous fake baby. ***One moment I wished he’d included? During his sentencing, Leo Sharp asked the government if, instead of serving jail time, he could grow Hawaiian papayas for them. The Court declined his offer.